What is a CIPD qualification? If you’re interested in working in HR or setting up a related small business, then one of the key aspects you’ll need to know about is the relevant training and qualifications. We’ll provide a guide on what a CIPD qualification is, and how to go about completing this type of training. What are the benefits of CIPD qualifications? You can scroll to the section you want to read about the most. Or, you can read the whole article for a complete overview of CIPD qualifications. Alternatively, if you’re ready to compare quotes for CIPD training now, just fill in the form at the top of the page. So you’re interested in learning more about CIPD training – but what is CIPD, exactly? In this section, we’ll provide some background information about CIPD to help you put what it is into context. What does CIPD stand for? CIPD stands for the Chartered Institute of Personnel and Development. It’s the professional body for the HR sector in the UK, with approximately 150,000 members across the world too. The CIPD has been in existence since 1913, when it was originally called the Welfare Workers’ Association (WWA). In 2000, it was granted a Royal Charter as the Chartered Institute of Personnel and Development. This name was then abbreviated to CIPD. Originally an organisation for the HR sector in the UK and Ireland, it has expanded its reach globally. There are now also offices in Asia and the Middle East. The CIPD conducts research into HR and learning and development issues, often working with employers and governments, to help drive change in the workplace. As a professional body, the CIPD offers membership for HR professionals. Membership is available by completing CIPD qualifications, with the type of qualification determining the type of membership. 2. What is a CIPD qualification? In the previous section, we discussed the role of CIPD and what it offers, including training. So what is a CIPD qualification and what does it mean? We’ll provide more details about what the training is, and the different ways of studying. A CIPD qualification sets the standards for different areas and levels of HR best practice. It does this through offering training suitable for HR professionals at all stages of your career. For example, you may be just starting out in the sector as an assistant, or have many years’ experience and run your own HR consultancy. Training is available as specific modules or more general courses. In this section, we’ll outline some of the different types of CIPD courses, and what getting qualified at each level could mean for you. CIPD qualifications are available at three levels: level three, level five and level seven. Level three is the foundation level of qualification, suitable for those in an entry-level position or working in a support function. Similarly, if you’re new to the HR sector and looking to get your first professional qualification, this is an appropriate starting point. Level five offers training at an intermediate level. This is ideal if you’re already working in an HR role and want to develop your skills and knowledge further – for example, if you’re an HR officer and are looking to expand your understanding in general, or of a particular area of HR. Level seven is the most advanced level of CIPD qualification available. 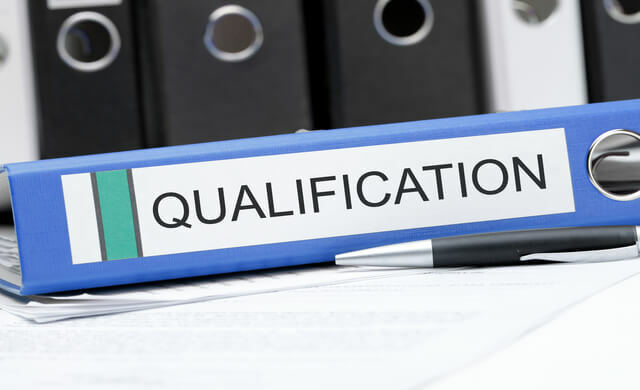 Obtaining this qualification is particularly necessary if you’re looking to offer strategic advice to companies, such as if you work for yourself as an HR manager. Similarly, if you run your own recruitment business, the in-depth, specialist knowledge gained from this level of study could be useful. You can take an award, certificate or diploma across all three levels of qualification. For example, you could study for a level three diploma, a level seven award, or a level five certificate, along with other combinations. Entry requirements are determined by the training provider. Here is an approximate guideline to how long you could expect each type of CIPD qualification to take to complete. CIPD qualifications are available at varying price points, mainly depending on the level of training you’ll be studying for. Read our article on CIPD qualification costs to find out more about the prices, and how much you’ll need to budget for to get certified at your chosen level. 5. What are the benefits of CIPD qualifications? As the CIPD is a professional body, completing training with them may enable you to become a member of the organisation. While completing your training, you can be a student member of the CIPD. Once you’ve obtained your qualification, you can then become a professional member. It’s important to note that you can’t become a professional member from an Award-level qualification. You can gain Associate membership by completing a Certificate or a Diploma (at foundation, intermediate or advanced level). To apply for Chartered membership, you’ll need to complete the Advanced Diploma and meet certain criteria. Read more about chartered membership eligibility to find out if you’re suitable. Chartered membership is the highest status, and is available at two levels – Chartered Member or Chartered Fellow. Gaining this level of membership allows you to use the letters MCIPD or FCIPD after your name. At this point, you’ve developed your understanding of what the CIPD is and the type of qualifications available, as well as how they may help you build your career or business in HR. Next, read our page on CIPD qualification costs for a detailed look at the different pricing options, and how to budget for the course that’s right for you. If you’re ready to compare quotes for CIPD training now, another option is to go to the top of the page and complete the form.